I had an enquiry from a lovely listener and follower around baking this week. Her worry was around the number of recipes she kept hoping to try and the amount of sugar contained in them. I thought it might be helpful to answer a few of her queries and comments via a blog post. I will also be chatting about this on Saturday Fresh tomorrow if you would like to tune in. So…….baking! 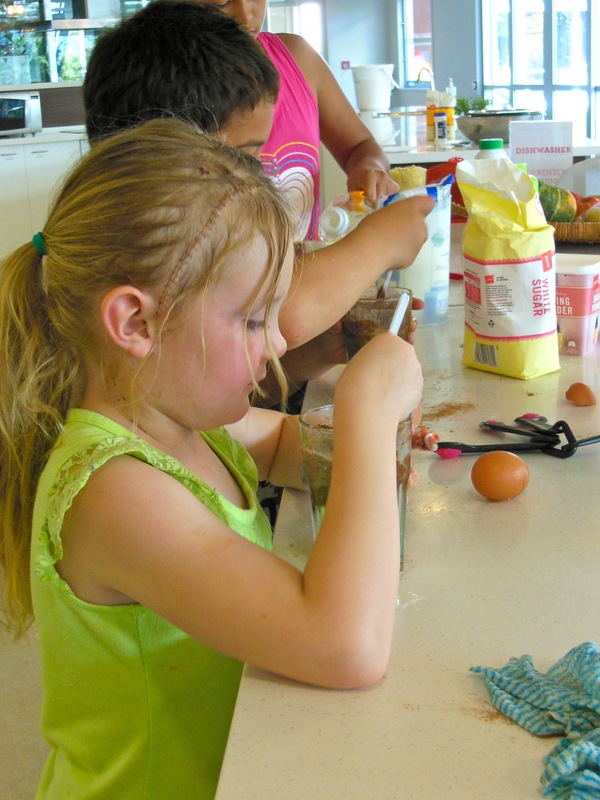 Well to start with I think that baking is a gorgeous way to get kids involved with cooking. It is also a fun and easy way to get yourself into the kitchen if you are not such a confident cook. 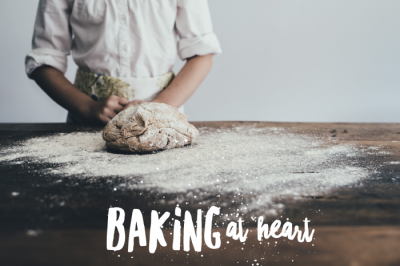 Baking is homely and family friendly and has a feel of comfort about it. Baking tends to be a sweet treat type of offering. It lends itself to cakes, slices and cookies. Yet, in more recent times there are also loaf style recipes that incorporate fruits and vegetables and are part way between breads and cakes. I love these because they are easy to put together and can be sliced up and stored in the freezer – and are of course perfect as a lunchbox item. The issue of course arises in how sweet is sweet – and how do we sweeten something without overloading on sugar. The other important factor to note is that all sweeteners are giving you the ‘sweet’ hit – so it really doesn’t matter if you convert to a syrup, honey, a raw sugar, coconut sugar or a chemical or natural substitute – they are all sugar! Well, I believe in balance. I enjoy baking but I don’t live on sweet things. I am careful with balancing all the goodness of raw and fresh foods most of the time but when I feel like a piece of cake or slice then I have it. My children are the same and they know that I will not condone sweet fixes as the answer when they are hungry – that fresh food comes first. However, I never use negative language around yummy baking because it can create an obsessive concern around food which in itself is not healthy. So, today I baked a couple of loaves that I have made before but I played around with the ingredients a little to see whether I could achieve a couple of recipes worth sharing here. One was a pineapple and courgette loaf. I added 2 Tbs honey but it’s pretty sweet from the pineapple and you may even be able to remove the sweetener completely and rely on the fruit. The second recipe was a carrot and banana loaf. I wasn’t thrilled with the texture but I did try to add in buckwheat flour which would have been the cause of the textural change. The taste however was really really good so I have published the recipe for you to try too. Both of these would be great lunchbox options or ideas for weekend baking. My philosophy is to enjoy the time in the kitchen and to eat a balanced and broad diet of everything. Cutting back on sugar is certainly important and in many recipes if I see that they are sugar loaded I will half the amount. No disrespect to the USA but a lot of recipes seem to have a sugar overload so I will tend to automatically decrease the amount in these. This will not affect your result apart from tasting less sweet! Changes in flour do result in hugely different textures so they can be trickier to substitute and this is not my forte – there are many other sites that cover off on substituting flours and how to manage that. I have been searching all week for the recipe for the Fruit Cobbler you cooked on Mon 27 March 2017 on Whanau Living. I followed the instructions to find the recipe on their website but the latest recipe was 22 March! Not very efficient on their behalf . I rewatched your segment but you never gave us quantities for the flour and the butter so even though you gave us quantities for the rest of the ingredients I still was in the dark re the main ingredients. Could you please send me the recipe as it looked delicious. Add butter to the flour and using fingertips, rub in butter until coarse meal forms. Add the oats, sugar, spices and butter milk and stir just until dough forms. Gather dough into a ball and transfer to a lightly floured surface. Gently knead and then pat or roll dough into a rectangle. Cut out squares and pat gently between your hands to create rounds for the top of your fruit. Top with the cobbler mixture. Pop in a preheated 200C oven and cook for 30-40 minutes until golden and buttery.